found this polaroid across the street from our house a few days ago. jenny & i were out for a walk & noticed it lying on the ground. a polaroid is a portal into the past. it used to be the fastest way you could capture a moment. a few seconds after a click, flash, and a high pitched buzz… you held a picture in your hand. 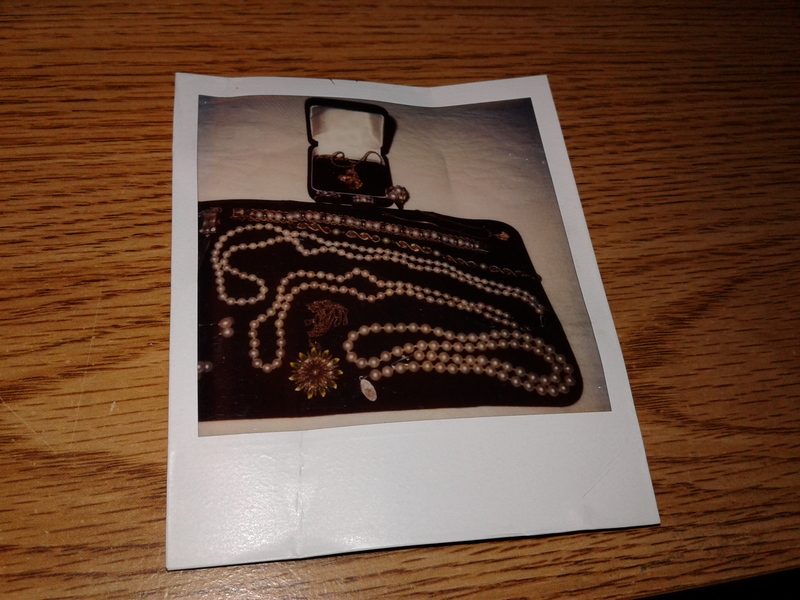 handwritten on the back reads: diamond rings cultured pearls & necklace 9/82. the owner was probably recording it for insurance purposes. I remember Dad bringing one home. We were all so excited. Got the usual bad pictures in black and white and seems like the film cost alot at the time. the film would run at times ruining an already bad picture. I guess those were baby steps for what we have now.